There is no doubt about the dominance of Facebook Inc (NASDAQ:FB) over the Internet and the recent results have shown that it is also the fastest growing social media network. The social media giant has overshadowed other companies including Twitter Inc (NYSE:TWTR) and LinkedIn Corp (NYSE:LNKD) in the process. According to the recent survey, Facebook is the largest source of referral traffic for website owners in the current cyber space. In the findings including 200,000 websites during September 2013 to September 2014, Facebook referred up to 22.4% of traffic to the monitored websites in September 2014 as compared to 10.4% in September 2013. Pinterest bagged the second position with 5.5% referral traffic in September 2014. What is more interesting is the falling positions of Twitter Inc (NYSE:TWTR) as the micro-blogging site contributed only 0.9% referral traffic to the sample websites in September 2014 down from 1.2% in September 2013. Another social network, LinkedIn Corp (NYSE:LNKD), was overshadowed by Facebook Inc (NASDAQ:FB) with only 0.04% referral traffic in September 2014 as compared to 0.07% referral traffic in September 2013. Another reason for the dominance of Facebook Inc (NASDAQ:FB) in the social networking space is its addictive nature. A recent survey from UBS Analysts has shows that up to 50% of the Facebook users tend to return to the site every day. Further, 32% of the participants said that Facebook is an important place to learn about new products and as many as 15% of the Facebook users confirmed at least one purchase that they saw on Facebook adverts. 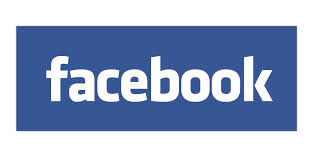 The shares of Facebook Inc (NASDAQ:FB) are trading at $76.99 with current market cap of $217.18 billion. The shares of Twitter Inc (NYSE:TWTR) and LinkedIn Corp (NYSE:LNKD) are trading at $36.85 and $218.02 respectively. Both of these social engines together have a market cap nearing $50 billion.